Hemp is hot. 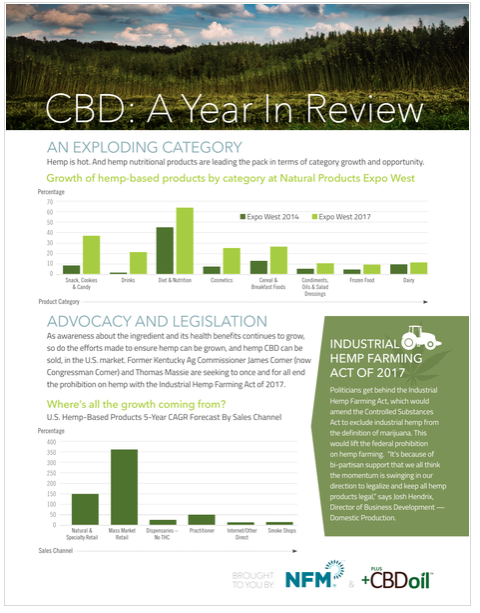 And hemp nutritional products are leading the pack in terms of category growth and opportunity. As awareness about the ingredient and its health benefits continues to grow, so do the efforts made to ensure hemp can be grown, and hemp CBD can be sold, in the U.S. market. Learn about category growth, CBD's top uses and the results retailers are seeing in this download.